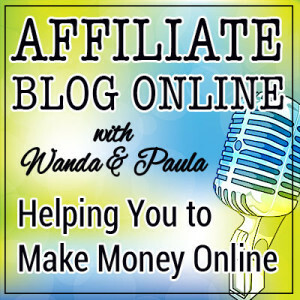 This is our very first Affiliate Blog Online podcast….woohoo! It took a while to get this up and running only because we have been creating a guide to podcasting and had to record every step along the way. But since this blog post is up it means that we only have one more step to go and that is to submit the podcast to iTunes for approval. In the meantime, you can listen to this podcast here as you should be able to see a media player above this blog post. Once iTunes approves the podcast it will then be available on iTunes so once you can subscribe to it there, you will be able to listen to it as often as you like. In this podcast we provide a bit of an introduction and go through how we got into this business way back in 2003. We also reveal our income that we were earning back in those early days. Also, we talk about the two things we did that finally skyrocketed our online business to success and how it enabled the both of us to finally give up our 9 to 5 jobs. And finally, we discuss what we are doing now to make money online. We hope you enjoy this Podcast as it will be the first of many in which we will discuss ways to make passive income online and enjoy yourself doing it. Hello Guys, I have been following you for a while. Great PODCAST by the way. I have started a cooking blog with my mum who loves cooking and I feel she has loads of ideas and smart tips that would help people. The only thing i’m concerned about is my grammar skills. I’m not the best writer in the world so do you guys have any suggestions or know of any software i could use to help me make sure my blog posts are written correctly? Also do you still reckon Amazon is the way to go? It would be UK based you see so not sure if it works just as good over here. From what you have written above, your grammar is fine. But if you type ‘grammar correction online’ into Google there are a few online tools that might help. And I think you would go okay with Amazon.uk. Amazon wouldn’t bother selling in the UK if it wasn’t making good money from it. But the only way you are going to know is if you try it out. It was definitely worth changing to Amazon for us as you heard in the podcast. Thanks for keeping the insiration going girls! As you know I have a winter site which surprisingly is still making money in the summer. The money still isn’t huge but I will be focusing on the site from September onwards all ready for the shopping season. Can’t wait!! As for the previous poster I use Amazon UK and it works OK for me. I exchanged a few emails with Paula who recommended that I name my site xxxx.co.uk however I had already done some research and named my site xxxx.com before contacting Paula. Having read up on it again after Paula’s exchange I am more confused than ever. Ha ha. Using pure logic however I’d say that a .co.uk site would rank higher than a similar .com site. Thanks for this Marcel. It’s really good to get the perspective of someone who is actually using Amazon.uk to help with Bills question. And so good to see that your site is making money for you. You say it isn’t huge but if you can make a little money with a site then there is the potential to make a lot of money as well. So just keep at it and you will be making the bigger dollars. Many thanks for coming back to me on that. I have done a few sites before with .com domain names over in the UK and they have faired pretty well to be honest I guess it’s just all about the content. I also noticed in my analytic account that all my sites have visitors from around the world and i’m sure I heard about some plugin that will direct the customer to the correct Amazon location so you get tagged for the commission. I’m not sure if Amazon have changed the policy and sorted that thing out which considering how big they are I would of thought so. I will do some digging and if I find anything out I will let you know about it. I am pleased you are both back onto the IM side of things and look forward to discussing more stuff with you. I’m pretty sure they haven’t fixed that yet, so you will need a redirect plugin. You also need to sign up to the relevant Associates program for the country you want to receive the sales from. So even if you have a redirect plugin, if you aren’t signed up for Amazon.ca for instance and the person buys from Amazon.ca then you won’t receive the commission. At least, I think that is how it works. If someone knows differently please let me know. The fact that you are earning $100 to $200 a month means you are definitely on the right track. It also means you can make more. Just keep going Brian and don’t stop to think about it. If I had a product and wanted affiliates to promote it for me then I would join a merchant network like CJ.com, Linkshare, ShareaSale, JVZoo, Clickbank and so on. This is where affiliates find merchants. Of course you can create your own in-house affiliate system (there’s plenty of software available for this) and then contact bloggers in a similar niche and see if they want to become affiliates.